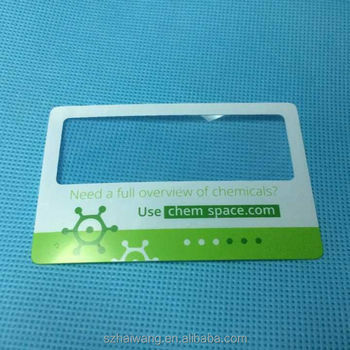 What is the specification about the plastic credit card size magnifier? 2.The magnifier not only enlarges the numbers for easy recognition but also has a useful light on the reverse to illuminate the numbers on the card. 3. Very handy for use in low lit restaurants etc. 1.OEM and ODM are welcome. 2.Small quantity order is welcome. 4. Your inquiry for our products will be replied in 10 hours. 1.We are Alibaba Assessed 9 years Gold Supplier. 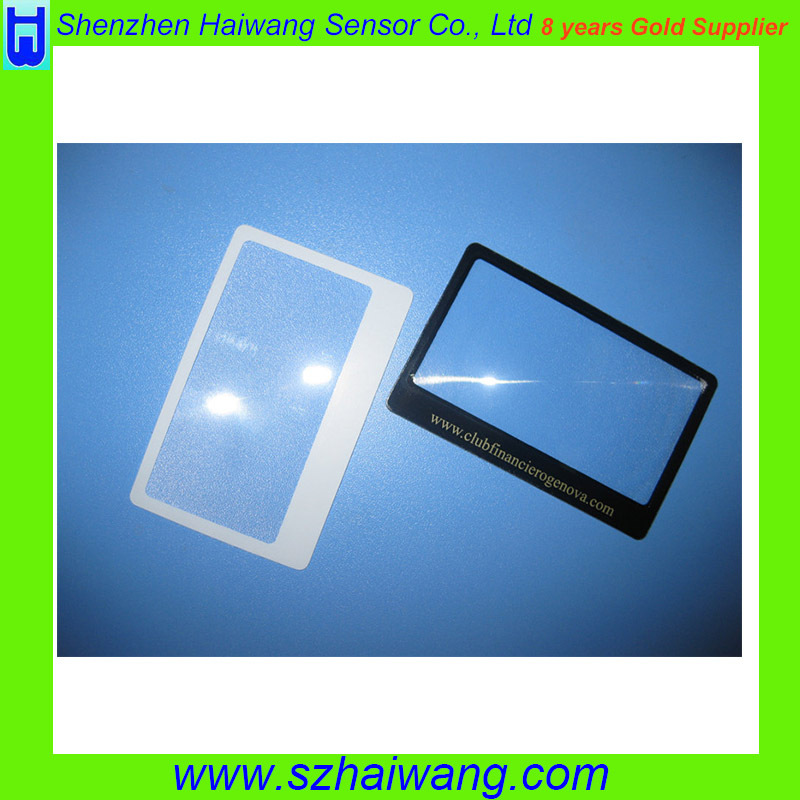 2.We are a factory manufacturing magnifier, optical lens and pir product, best production capability ,best quality control, Best Service. 4.Free sample provide for testing first. 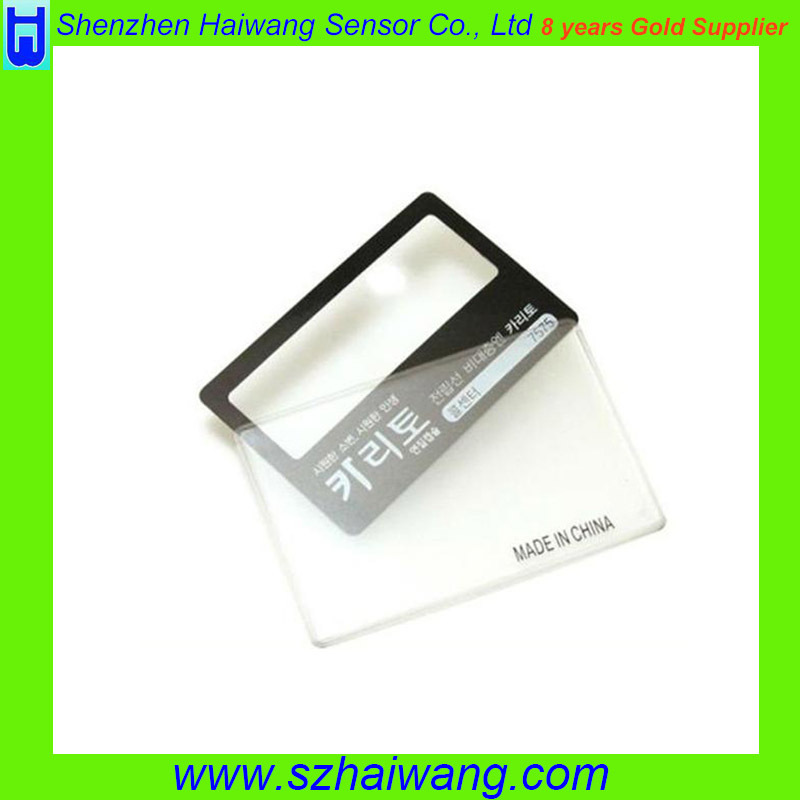 Shenzhen Haiwang Sensor Co.,Ltd is high-tech enterprise that focuses on research and development, production, sales and services. We have dedicated PIR motion and microwave for more than ten years. 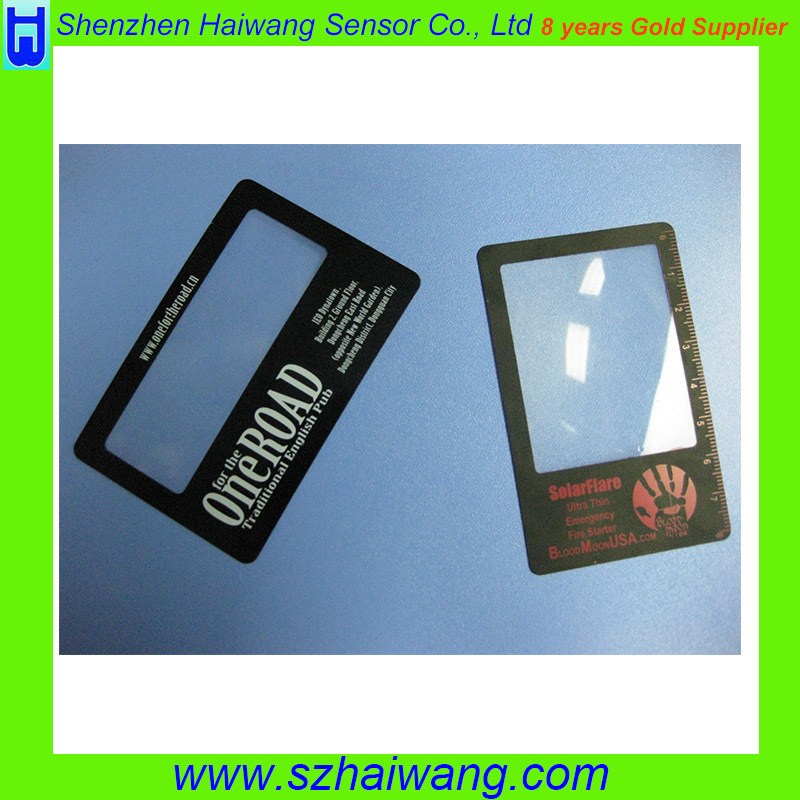 The products we offer cover all kinds of sensor component, sensitive electrical component and smart electrical component. 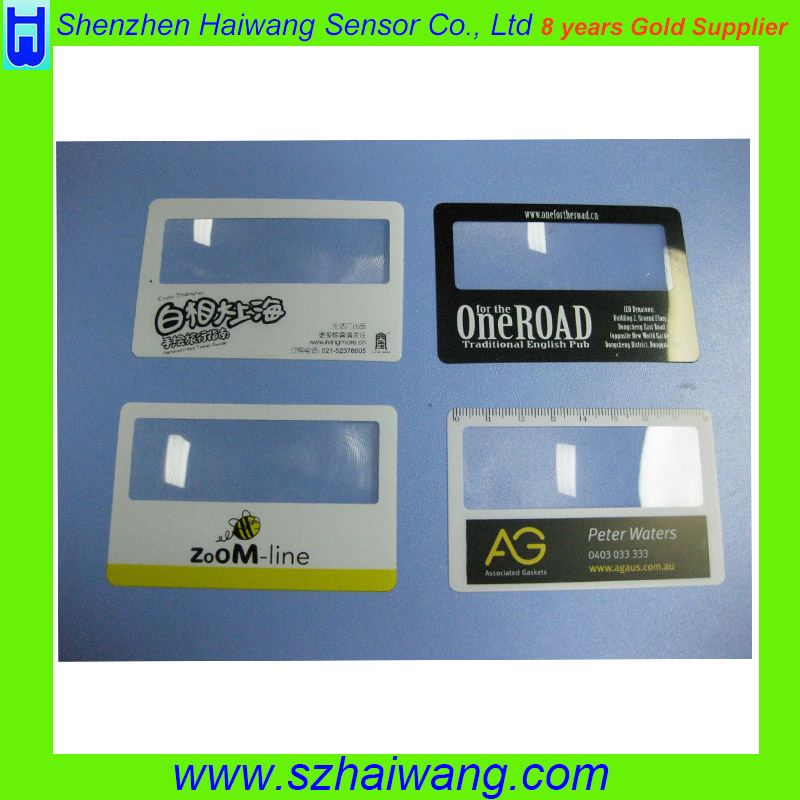 Such as PIR motion sensor and matched IC, fresnel lens,magnifier lens, PIR motion module,video player and so on. We also provide technical support,OEM &OED upon products. Our products are wildly used in illuminative lights, public security monitory,advertisement medium and traffic security device.